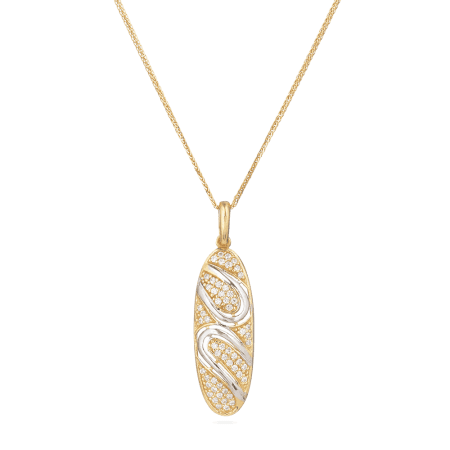 Our pendants are all designed to complete a chain with something bold yet elegant and beautiful. 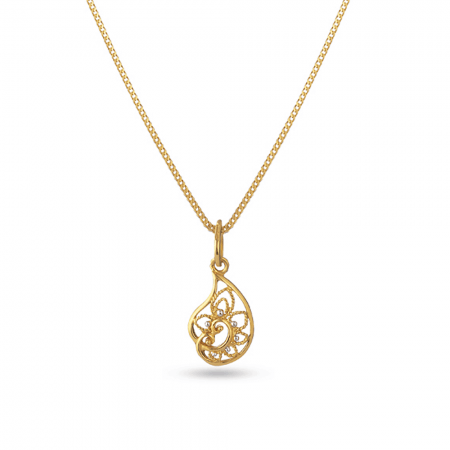 We offer pendants to complement any outfit, with designs that range from the simple but effective use of shape to create patterns, to more complex pieces which feature an array of different jewellery options. 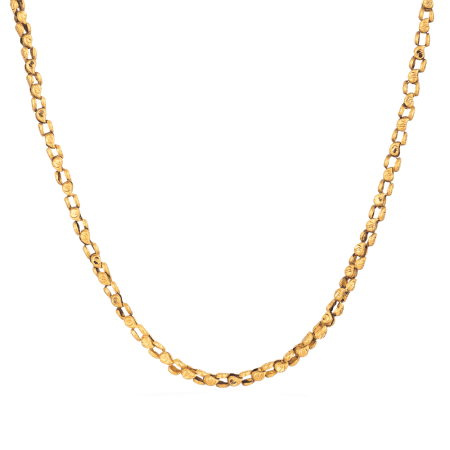 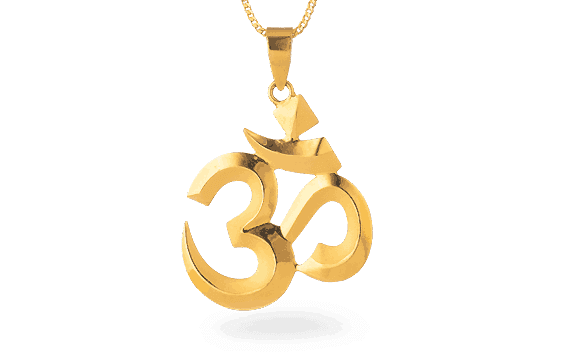 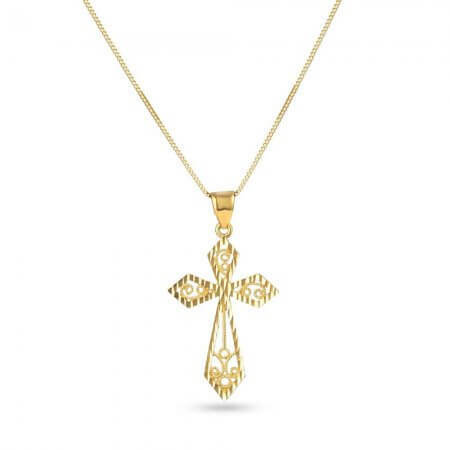 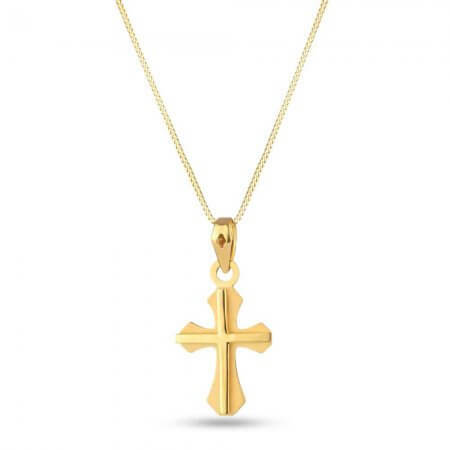 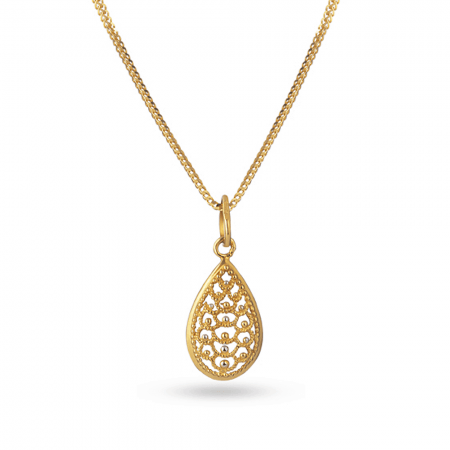 Our 22ct Gold Necklace features a beautiful pendant which uses asymmetry to great effect. 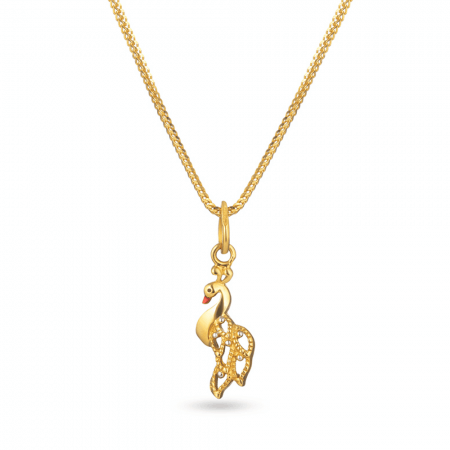 The smooth curves of its shape are rounded off delicately by a ruby hanging off a thread of silver. 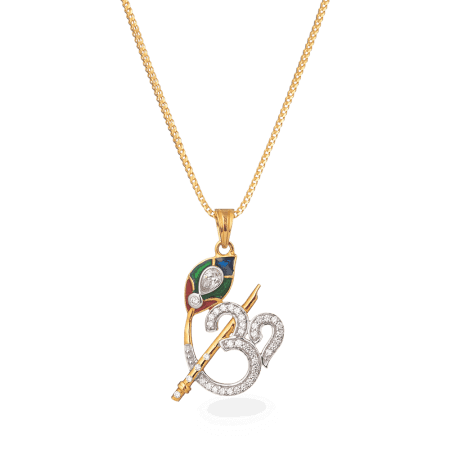 Both rubies and emeralds are used to complement the sparkle of the 22ct gold. 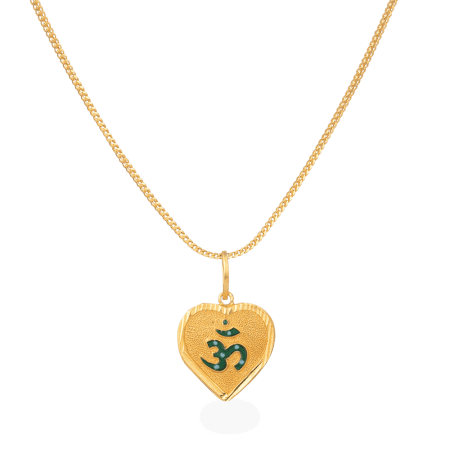 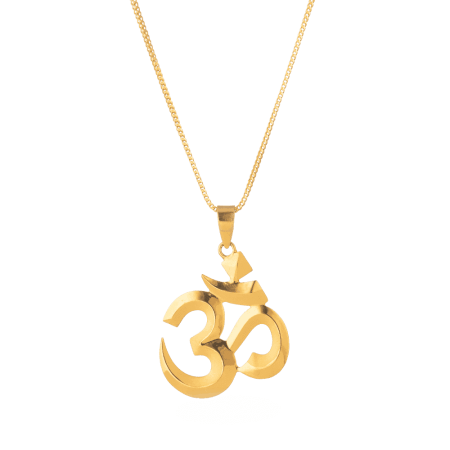 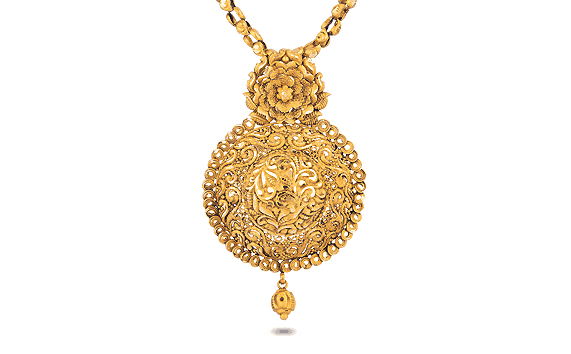 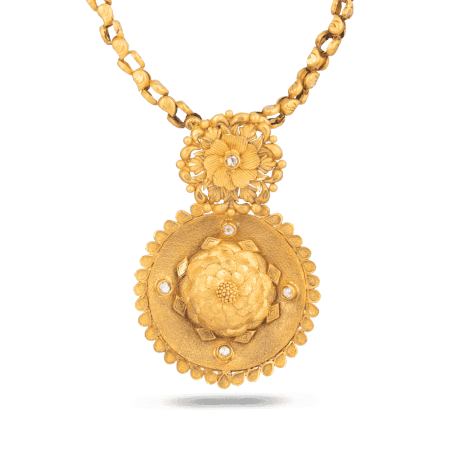 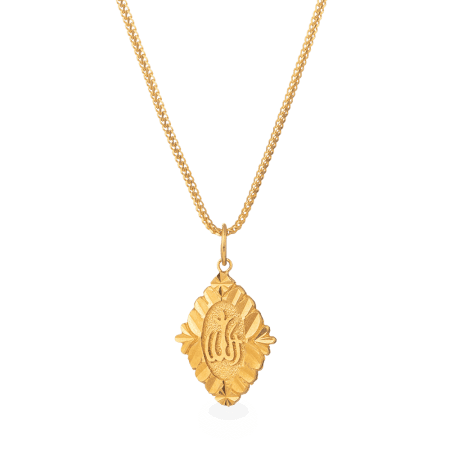 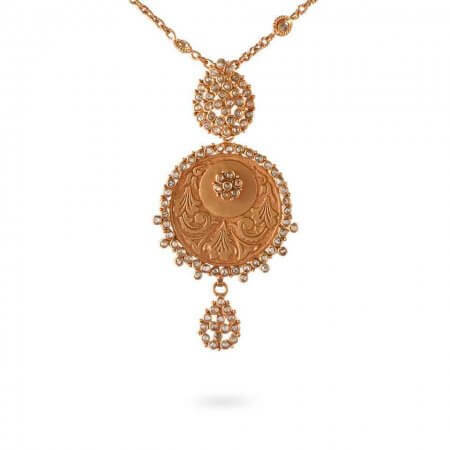 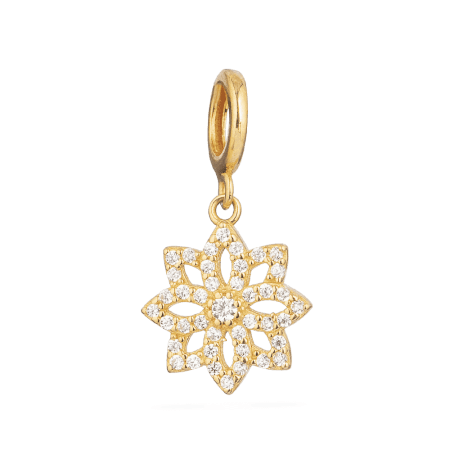 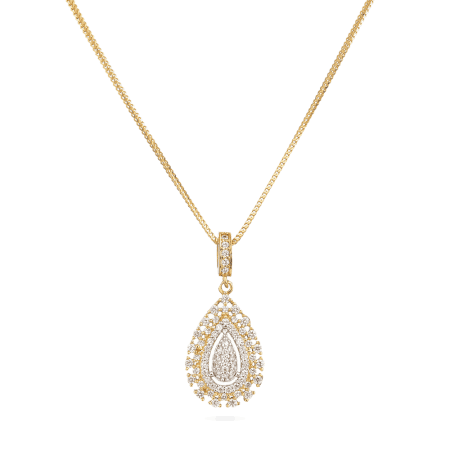 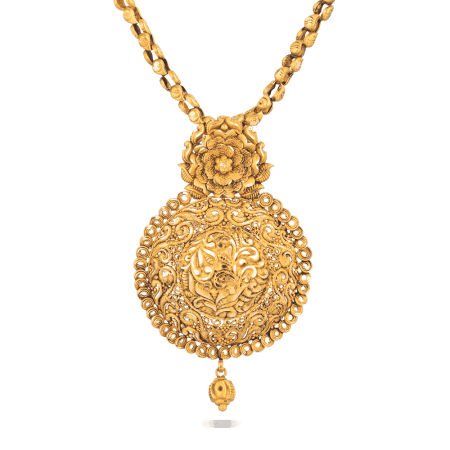 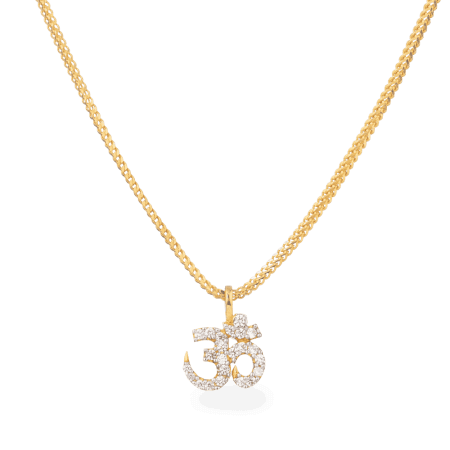 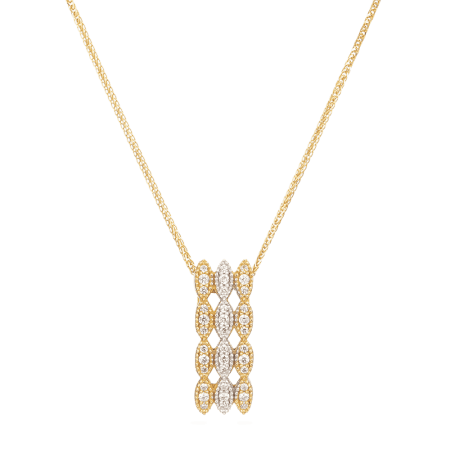 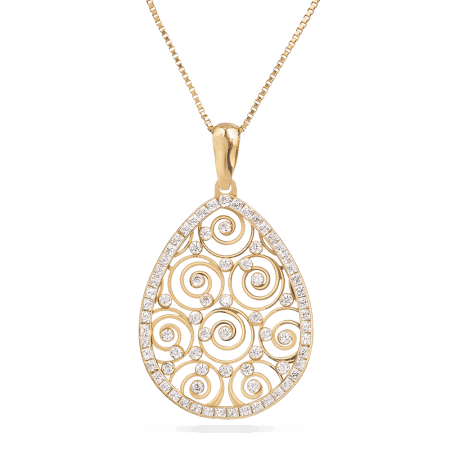 Our 22ct Gold Kundan Pendant takes a different approach and features denser pendants. 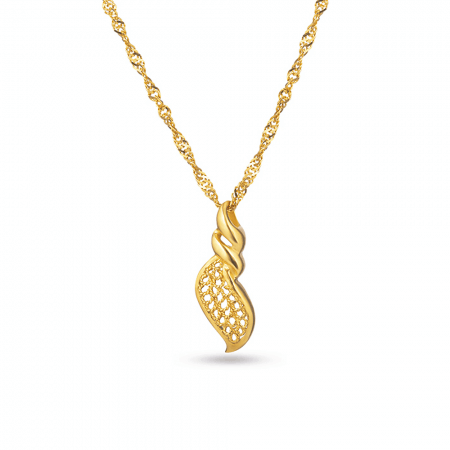 This piece also uses curves to great effect and has a natural theme with features designed to invoke images of leaves. 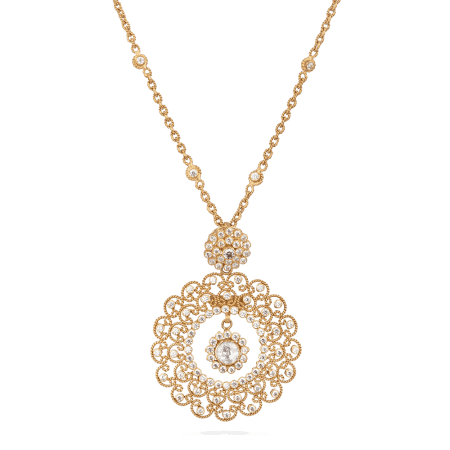 Our second Gold Kundan Pendant is a lighter option for those who like the Kundan style. 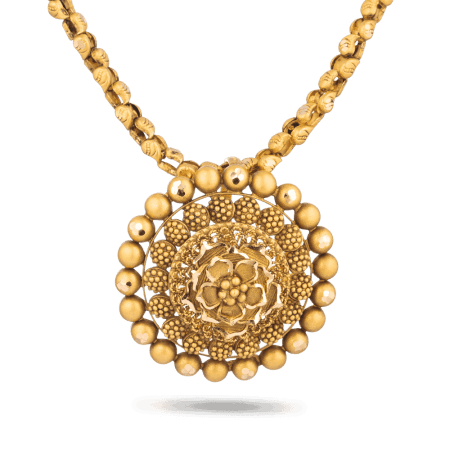 The central motif of the piece consists of pearls and rubies nestled in the centre of a golden ‘web’. 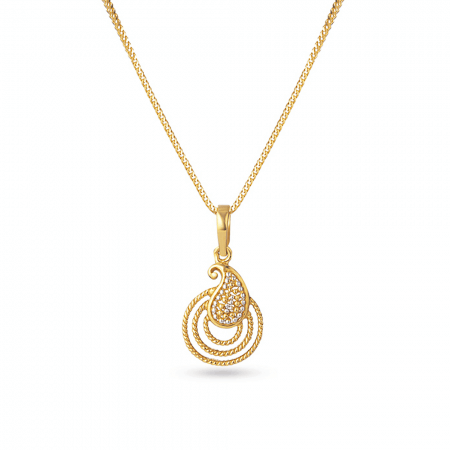 This golden web forms an intricate gold scaffolding with mesmerising curves and spirals. 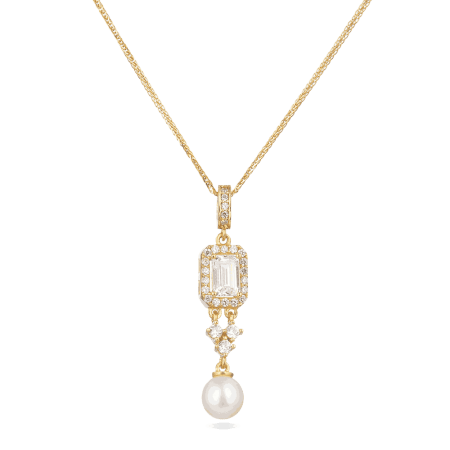 The pearl dangling from the bottom completes the piece beautifully. 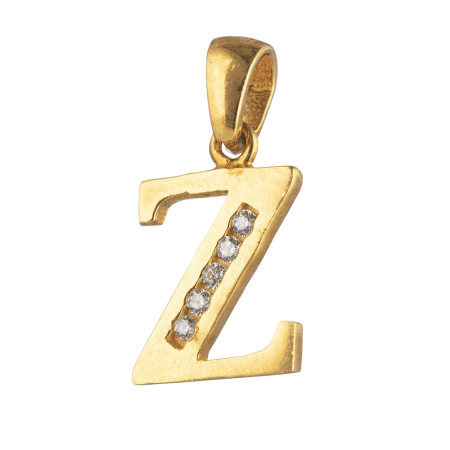 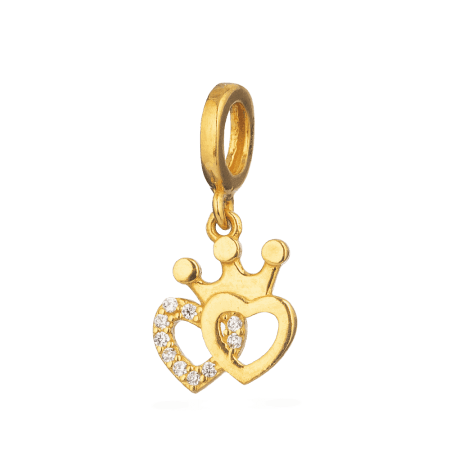 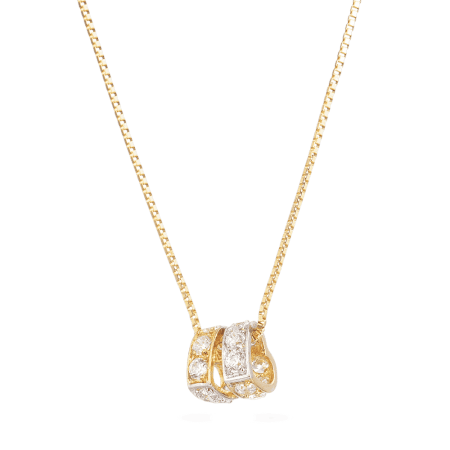 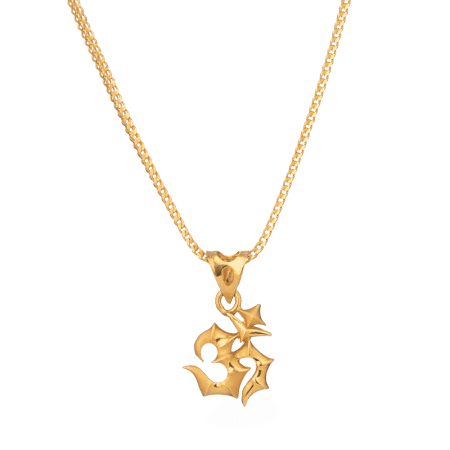 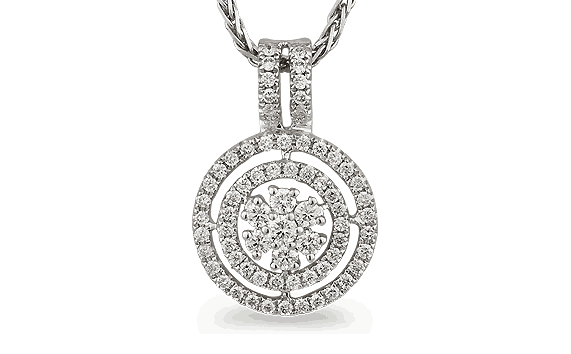 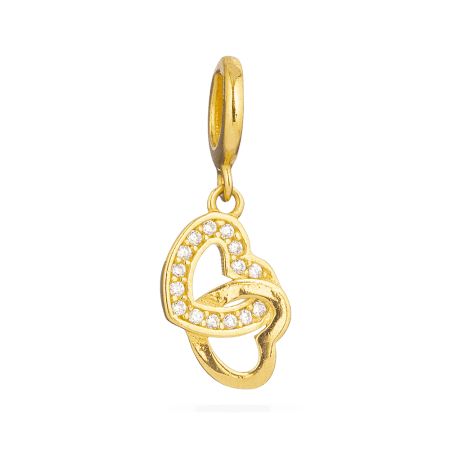 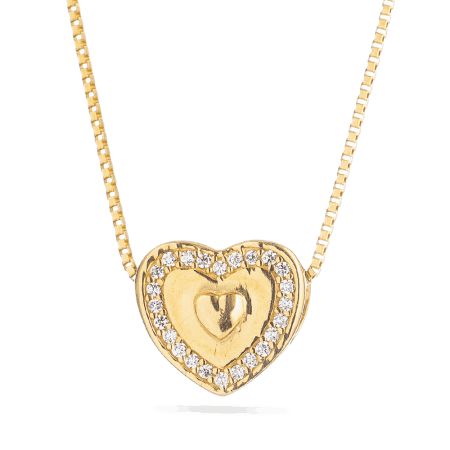 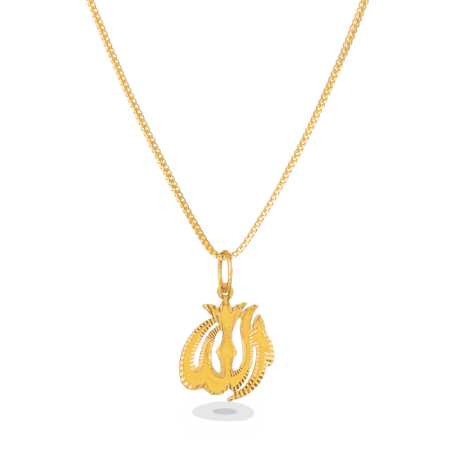 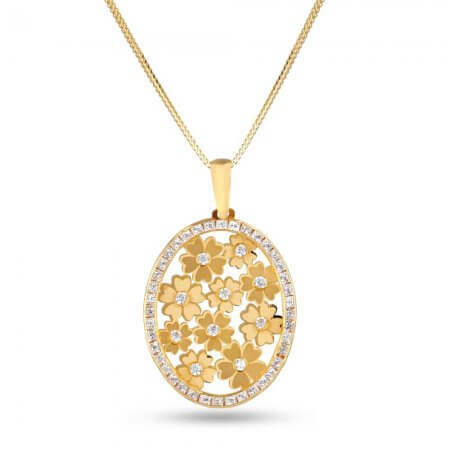 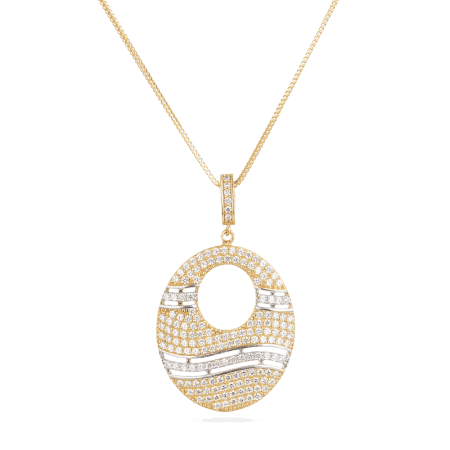 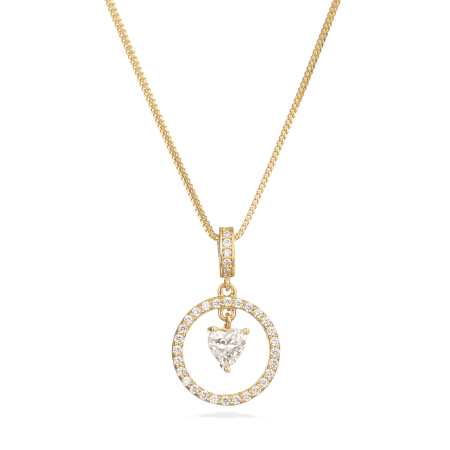 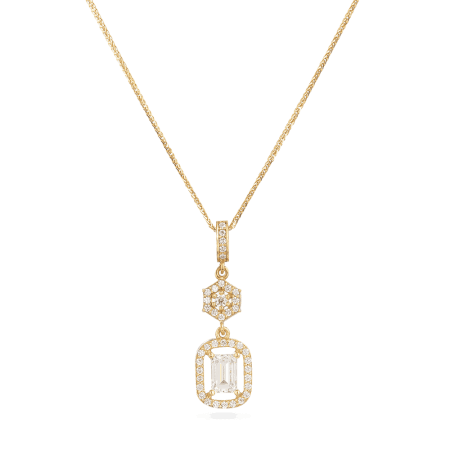 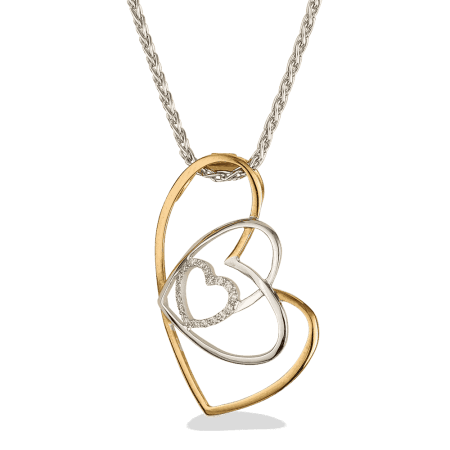 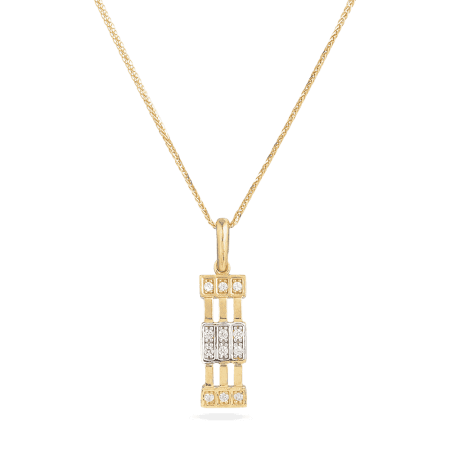 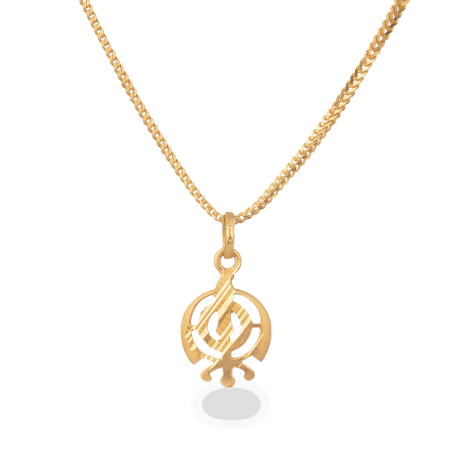 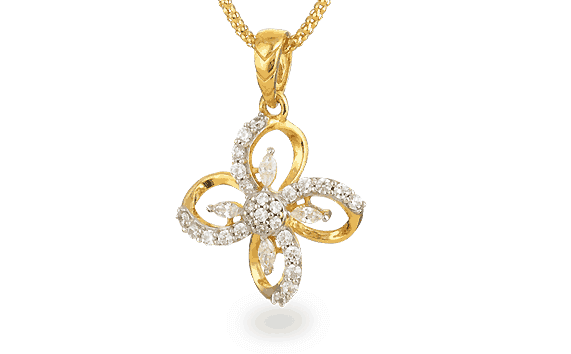 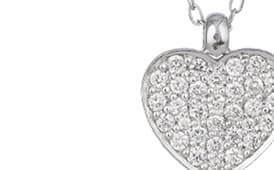 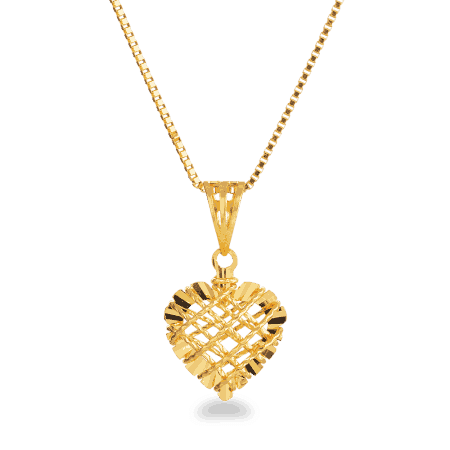 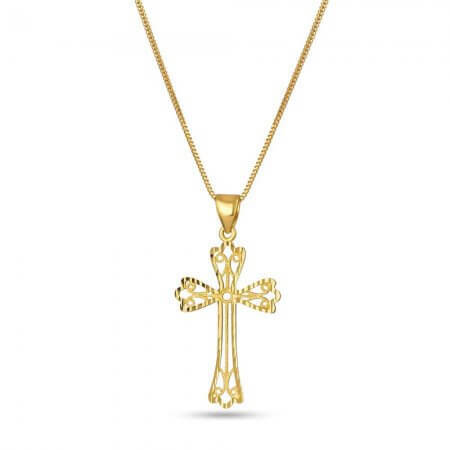 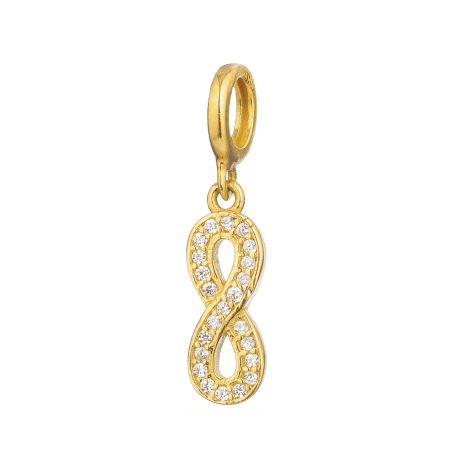 We offer several different designs of 18ct white and 22ct gold pendants. 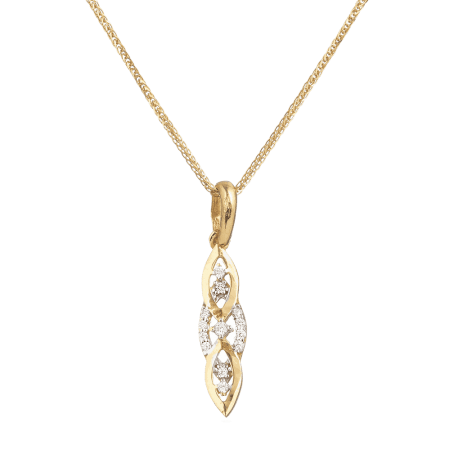 These pieces are subtle yet incredibly beautiful. 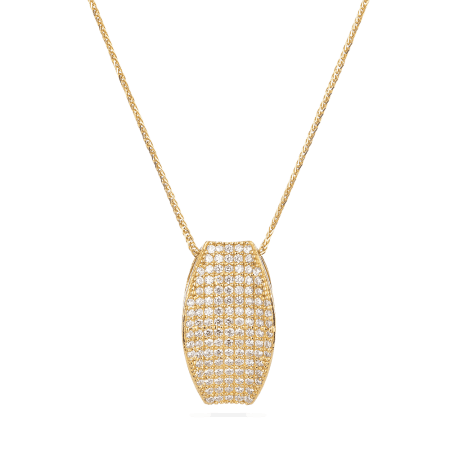 Each is studded with diamonds so that when viewed in the light, the sparkle of the diamond and shimmer of the white gold combine to give each piece an ethereal quality. 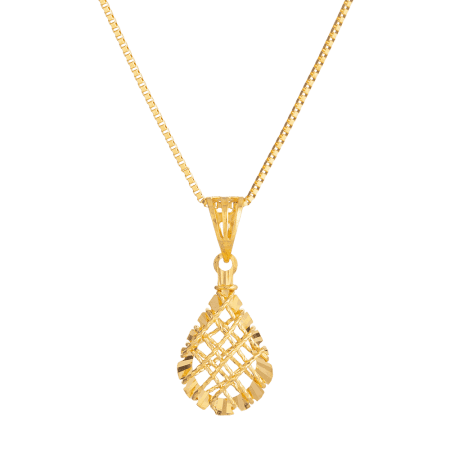 The shapes we have chosen for the pendants are those that we feel best exemplify the geometry used in the Indian architecture and art that we love.